Travel by surface from Delhi to Nainital the most beautiful hill station of Kumaon. Nainital : is referred to as the lake of three sages, or the Tri Rishi Sarovar as mentioned in the Manas Khand chapter of the Skanda Purana. As recorded in history, the three sages, Atri, Pulastya, and Pulaha stopped over at Nainital on their pilgrimage, to quench their thirst. Finding no water, they dug a hole and transferred some water into it to from the sacred lake of Tibet, Mansarovar. Thus the famous lake of Nainital came into existence. Another legend has it that the left eye or Nain of Lord Shiva’s wife Sati fell in this center and formed an emerald eye shaped lake, and thus emerged the city of Nainital.Recent history records reveal that Nainital was brought into limelight by P. Barron, a British sugar merchant, in 1839. The beauty of Nainital with the central lake cushioned among the forests attracted this person to build a house named Pilgrim’s Cottage and settle in Nainital. Arrive at Nainital transfer to hotel, Check in to hotel .Evening you will walk to Naini Lake and Mall road.then free for leisure. Overnight stay at hotel at Nainital. After breakfast enjoy at Nainital. Nainital is a glittering jewel in the Himalayan necklace, blessed with scenic natural spledour and varied natural resources. Dotted with lakes, Nainital has earned the epithet of 'Lake District' of India. The most prominent of the lakes is Naini lake ringed by hills. Nainital has a varied topography. visit to lakes tour of Bhim Tal, Sat Tal, Naukuchia Tal , Snow point,Thandi sadak, cable car & Mall road. Later back to hotel,free Rest of the day free at leisure , overnight stay at hotel at Nainital. 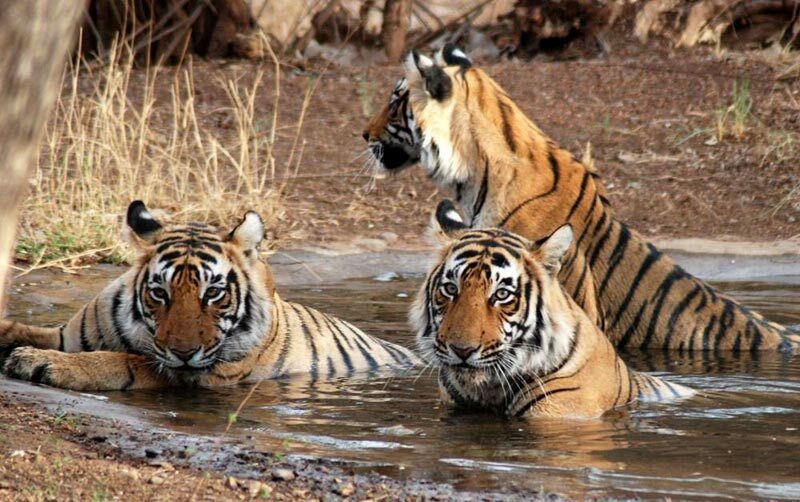 After breakfast, check out from hotel then drive to Corbett national park. Corbett National park: A promosing land for the world species at Ramnagar in Nainital district in Uttarakhand.The Corbett national park is the most dwindling part of nature resining at the Himalaya foot hill & Sivalik ranges and is being called as the perfect tigers land.Indias first noised wildlife sanctuary and national park established in the year 1936,brings opportunity to be hold the largest tigers population in the vicinity.Corbett remains open to mid nov to mid jun,the main reason for closure of the park during the rest of the year is that mansoon make most of the roads get washed away.After mansoon, the repair work start and it is only by nov.That roads are back in motive conditions. On arrival at Corbett transfer to hotel,check in to hotel.Rest of the day free at leisure overnight stay at hotel at Corbett. After breakfast, visits to Jim Park Corbett, Elephant safari (Optional by paying Additional cost).Later back to hotel, Rest of the day free at leisure, overnight stay at hotel at Corbett. After breakfast, check out from hotel drive to Delhi for onward destination.